Allow me to introduce myself. 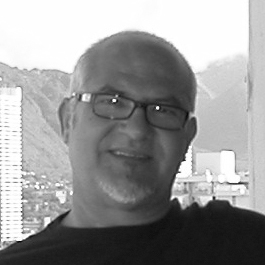 I am José Estrela, an established graphic designer whose mindset and works over the years reflect upon the vivid landscapes, colors and music of my native Azores, Portugal, reinforced by early schooling in Rio de Janeiro, Brazil and eventual studies at Berkshire Community College in Massachusetts and the University of Iowa where I received my Fine Arts degree. I started creating designs, arts, and sculptures in my late teens to occupy my time, pleased to offer a work piece to family and friends in exchange for a smile, a simple thank you and appreciation. Destiny, and family needs brought me to the US before I could attend college in Brazil. My first intention was to become a civil engineer and eventually an architect. Fortunately, when I attended my first college in the Berkshires, I was advised to enroll in the Visual Arts program, perhaps the most rewarding advice I've ever received. It made me recognize that in an interpretive sense engineering wouldn’t allow me to break the “rules," — but art has no boundaries. I enrolled in the Sculpture Department at the University of Iowa with a concentration in metal casting after some work experience provided expansive images of the art world. I engaged in sculpture with a minor in design, but the diverse courses at the university allowed me to explore the many venues where art can be applied. Over the years my work has been incorporated into countless printed pieces, posters and exhibits for academia, public service groups, and commercial organizations. Enter the world wide medium of the internet and the continued innovations in graphic software, enabling me to enhance my designs in ways that would not have been conceived or achievable with the means available during my early career years. Thank you for learning about my background. I trust one or more of my designs can serve you in a capacity as a graphic print, image or pattern or application for tile, fabric, or your desired resource material. In addition to graphic Giclée prints available via this website, joséstrelaARTWORKS designs can be licensed for applications as referenced in the introduction. Please email me for specific information and discussion, and reference the design of your interest, nature of material to which the design would be applied, and qty./number of impressions. Please submit to us your name and contact information and identity of the production company (if known at time of request.) We can likely provide production arrangements as well. Thank you.